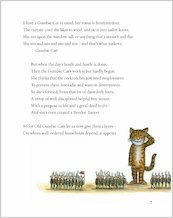 Purrfect poetry with colour pictures by Axel Scheffler. 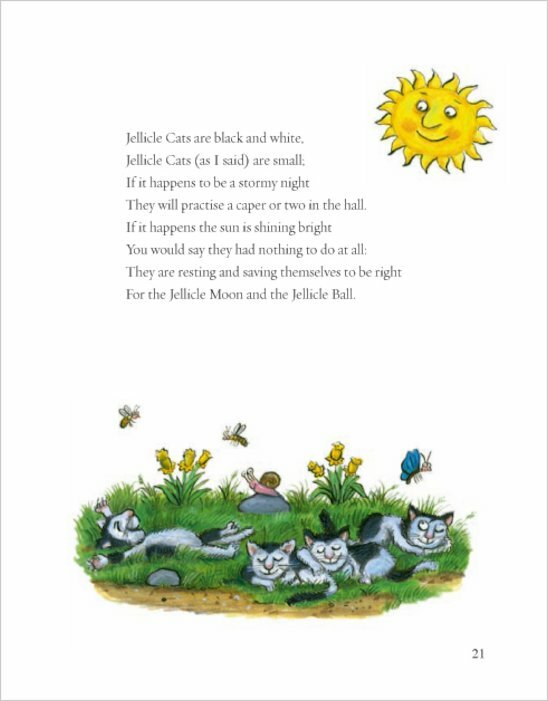 Sing along to the classic rhymes that inspired the musical Cats. Shudder at the ruffian pirate puss Growltiger. 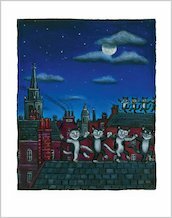 Dance in the moonlight with the Jellicle Cats. 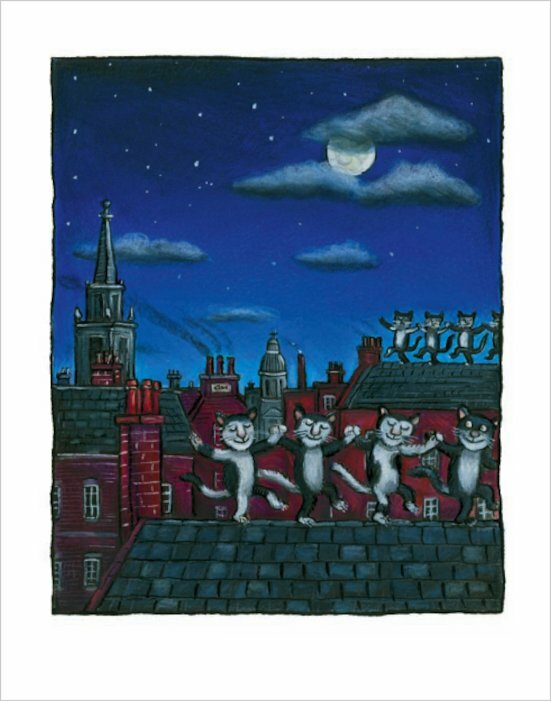 Track down master criminal Macavity. 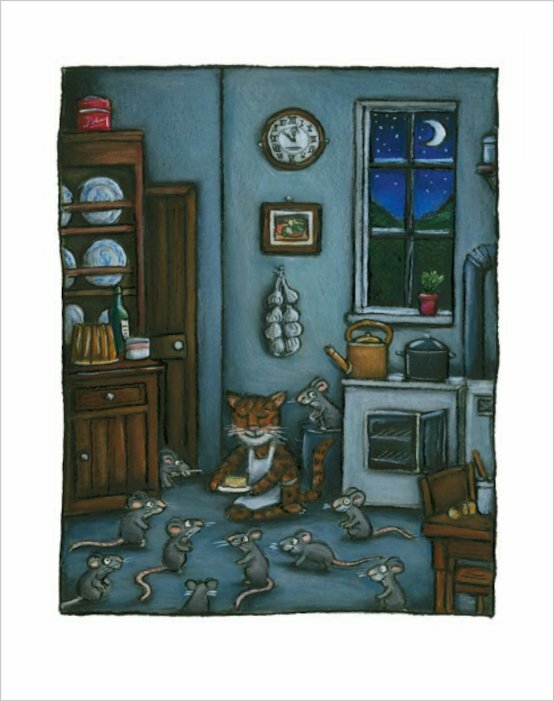 (He’s a real cat burglar.) 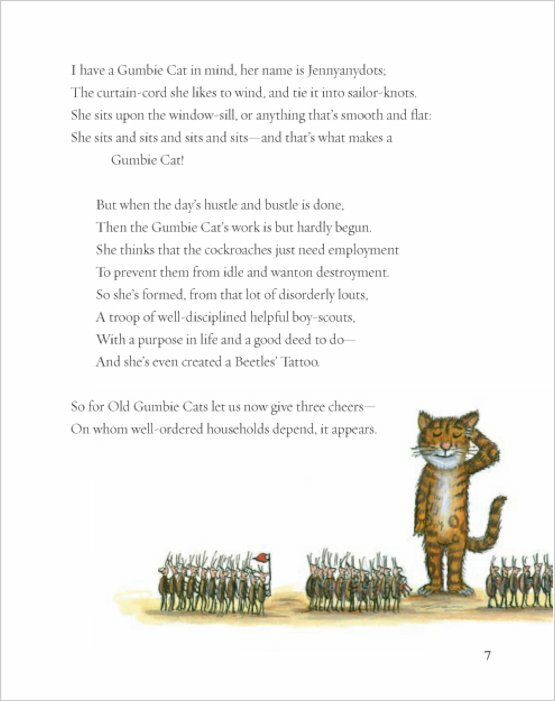 Or if you love trains, rattle and ride with Skimbleshanks the railway cat. T.S. 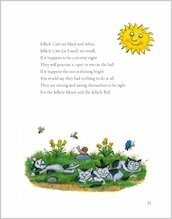 Eliot’s verses sparkle with life and mischief, while Axel Scheffler’s crazy cats prowl and prance through every scene. A must if you love dark nights, full moons – and cats! I liked the sound of ‘Rum Tum Tugger’ and other funny named cats. 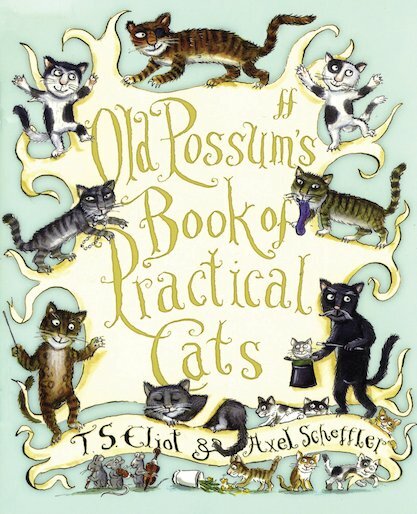 T.S Elliot’s well-known, jolly cat poems are alongside with Axel Scheffler’s magnificent drawings in this collection of poems. I thought this book wonderful, Axel Scheffler really puts his own twist on it all!